Somewhat similar to other companies, we are a total technology provider, which means that we have virtually every type of Business Hardware and Solutions in stock; including the additional technology needed to create an ideal office setup. Our copier rentals can provide you with the best equipment possible to help your team effectively create, duplicate, scan, and send copies of your business material. Other options such as Z-fold, booklet making, stapling, etc are also available. If you are expanding your business and/or need to increase production; or heck even short-term needs such as a copy-intensive project, you can rely on Copier Rentals to provide you with the best rentals for your business situation. Our extensive equipment inventory contains the latest models including the award-winning Konica Minolta Bizhub Copiers. There are certain industries and work environments that benefited from rentals. Construction is a notable example. Temporary offices on construction sites have a need to print like any other office type. Renting gives you the option of not needing to transport the machine between jobs. Also, construction sites often are really hard on a photocopiers fragile and fine-tuned mechanical makeup. A lot more TLC goes into copiers in dusty environments. Things like dirty optics, dirty rollers, dust in circuit board cabinets, and gritty developer are all things that you the end user and your technician need to be aware of. Print equipment in construction environments need a complete overhaul every 6 months or so. Renting your equipment in this situation is a fabulous option for owning a machine would be wasteful. Machine rentals are always thoroughly inspected and rebuilt before being placed in a new customers office. Are you in an industry where are constantly on the road for trade shows, abroad tasks, or community activities? Another fitting example of who can benefit from copier rentals are schools. Charter schools often rent classroom space annually. Charter schools are not the only academic group utilizing office equipment rentals. After school programs with unknown duration's and summer programs also benefit from equipment rentals as well. Lastly, to reiterate in our last post, there are tax benefits for those that choose to rent. Rental payments are typically deductible as a business expense on your business’s tax return. Savings like these, help offset business costs, meanwhile reducing business expenses and increases budgets for other business necessities. 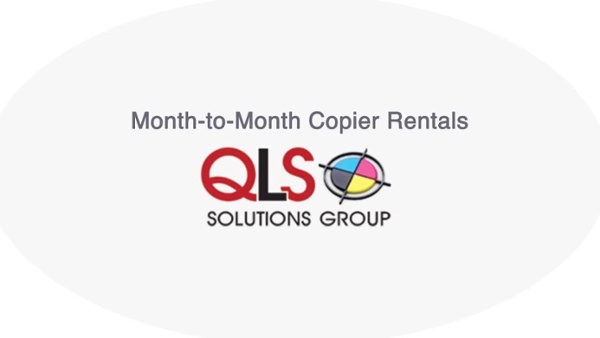 Copier Rentals can range from Month-to-Month to Short-Term, terms are flexible, tailored to your needs, and you can cancel within 30-days notice. With upfront costs and tax benefits, rentals are extremely budget friendly; and depending on your location, we are able to deliver a copier to you within hours. Fill out a form or give us a call at (800) 859-2203 or (716) 852-2203 to schedule delivery and installation; or even if you have questions, we're always here to help. Does your Business buy, lease, or rent office equipment? How is it working out for you? We love hearing about different experiences from different industries, please do share!